At least 10 people were arrested after the incidents that broke out on Saturday the 4th of December when riot police in Copenhagen prevented antifascist demonstrators from reaching an Islamophobic PEDIGA rally. It gathered only sixty demonstrators who had planned to cross popular districts. But the anti-fascist counter-demonstrators, far more numerous, have obliged them to renounce them and to modify their itinerary. Barricades were built and fires burning. Those arrested were for “assaulting a policeman, vandalism and refusal to obey orders”. Michelle Smith is an antifascist from Merseyside, who was sentenced to 12 months in prison on the 12th of July for resisting a fascist presence in Dover on January 30, 2016. Michelle is passionate in her beliefs and in standing up for the rights of people to live without fear of racist attacks. Michelle has never been violent, she has remained dignified even when these thugs have repeatedly threatened her home address, her children and her livelihood. Michelle remained dignified when one of these thugs attacked her in her in her work place. She has spent her life in the service of others. She is a single mother of two children and her involvement in anti-fascism has always been about making this country a safer place for them to live. Her actions were taken to resist racism and fascism. We believe that anti-fascist action is always self-defence. By confronting fascists and their ideas we strive for people to live without fear. We stand with Michelle and always will do. We ask every one of you to remember the atrocious history of violence that fascists have done and continue to do to our society and to support us by joining, campaigning and donating to the cause. We will not allow our comrade to be forgotten; we will campaign for her release. She is in there for us, and we are out here for her. 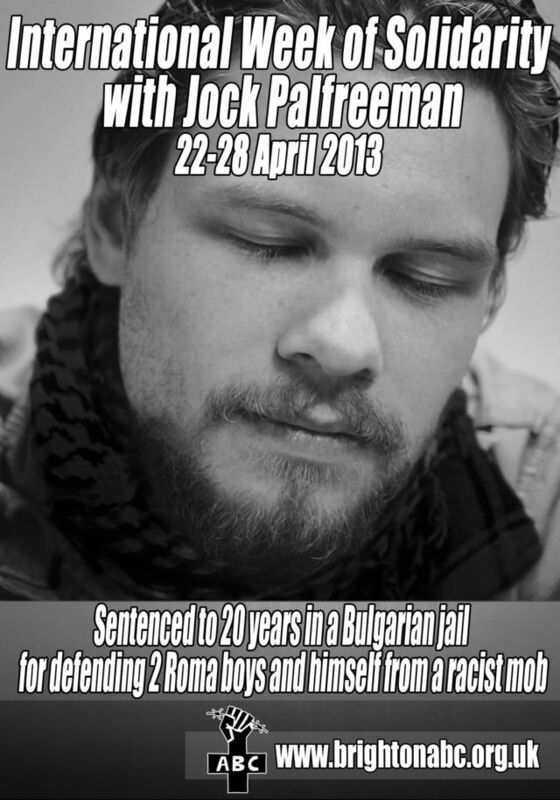 Roman Bogdan is an antifascist from Brest. Arrested on April 1, 2015 on suspicion of participation in the fight with neo-nazis that took place on May 8, 2013. On October 3, 2015 got 8 years of penal colony with reinforced regime (339.3, 147.2) and 3500 euro of damages to be paid to the injured nazis. On December 15, 2015 a regional appellate court commuted the sentence by 2 years. because recently he has been transferred back to Brest pre-trial facility to be interrogated about another account of a group fight that happened a few years ago. Dzmitry Zvan’ko sentenced to 5 years for a fight with neonazis in Brest was released on parole yesterday. All in all he has spent 3 years in jail. There are two more convicts in this case – Roman Bogdan and Dzmitry Stsyashenka. Don’t forget them, show your solidarity!